Monday is Museums & Monuments Day at the River Houses: spend a few homeschool minutes exploring a notable cultural or historical site, learn a new name or a new date, find a new location on a map, and your little lesson is done. ❡ Little lessons: If your homeschoolers are studying American history this month, here’s a tricky question you can ask them: “If the United States became a country in 1776 (with the Declaration of Independence), how come the first president (Washington) wasn’t inaugurated until 1789?” Answer: Because the country was first governed under the Articles of Confederation, not the Constitution, and the Articles of Confederation included no provision for a national president! For a read-aloudable five-paragraph account of how we got from the Articles of Confederation to the Constitution, turn to pages 473–474 on your River Houses almanac (riverhouses.org/books). 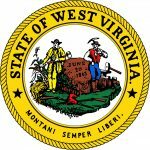 WEST VIRGINIA (the 35th state, 20 June 1863) — The Mountain State. Capital: Charleston. West Virginia can be found on page 590 in your almanac and on plates 43 and 142 in your atlas. Name origin: “So named when western counties of Virginia refused to secede from the U.S. in 1863” (almanac page 423). State bird: Northern Cardinal. Website: www.wv.gov. ❡ Little lessons: You can teach a hundred little lessons with the state-of-the-week, using your reference library (riverhouses.org/books) as a starting point. Find the location of the state capital in your atlas. Look up the state bird in your bird guide. Read the almanac’s one-paragraph history aloud each week. Using each state’s official website (above), find and copy the preamble to that state’s constitution into a commonplace book over the course of the year. Practice math skills by graphing each state’s population and area. Look up the famous state residents listed in your almanac either online or at your local library. The possibilities are endless and they can be easily adapted to each student’s age and interests. Pick a simple pattern to follow for a few minutes each week, and by the end of the year, without even realizing it, your students will have absorbed a world of new geographical and historical information. ❡ Explore more: If you’re planning a comprehensive unit study of one or more of the U.S. states, be sure to investigate the collection of primary source materials for teachers available from the Library of Congress. And the helpful State Symbols USA site (statesymbolsusa.org) has everything you and your students will want to know about flags, seals, mottos, state birds, and much more. 🇵🇪 PERU, on the west coast of South America. Population: 31,036,656. Capital: Lima. Website (in Spanish): www.peru.gob.pe. 🇵🇭 THE PHILIPPINES, in Southeast Asia. Population: 104,256,076. Capital: Manila. Website (in English): www.gov.ph. 🇵🇱 POLAND, in Central Europe. Population: 38,476,269. Capital: Warsaw. Website (in English): www.poland.gov.pl. 🇵🇹 PORTUGAL, on the west coast of Europe. Population: 10,839,514. Capital: Lisbon. Website (in Portuguese): www.portugal.gov.pt. These all appear in your current almanac, atlas, and history encyclopedia as well. For example, you’ll find the main entries for mountainous nation of Peru on almanac page 823, atlas plates 53 and 138, and history encyclopedia page 508, with illustrations, flags, and other mentions available through the indexes in each volume. Quick Freshes are our regular Sunday notes on the homeschool week ahead. Pick one or two (or more) of the items below each week and use them to enrich your homeschooling schedule! ❡ Little lessons: “Did you know that the Polish trade union movement ‘Solidarity’ was instrumental in bringing about the collapse of Communism in Central Europe?” You can find an illustrated overview of the lifting of the “Iron Curtain” on pages 448–449 in your River Houses history encyclopedia (riverhouses.org/books). 🌕 THE MOON at the beginning of this week is full! (That means this isn’t the best week for stargazing because the night sky is too bright.) Track the moon’s phases each month at timeanddate.com/moon/phases, and dial up the constellations with your River Houses star atlas (riverhouses.org/books). 🗓 TODAY (Sunday, 29 April) — Today is the 119th day of 2018; there are 246 days remaining in the year. Learn more about different kinds of modern and historical calendars on pages 351–357 in your River Houses almanac (riverhouses.org/books). ⬩ Today is also the birthday of the great American jazz musician and composer Duke Ellington (1899–1974). Monday (30 April) — Monday is Museums & Monuments Day at the River Houses. On this day in 1789, George Washington took the oath of office as America’s first president on the balcony of Federal Hall in New York City, so the Federal Hall National Memorial is going to be our museum-of-the-week. ⬩ Monday is also the birthday of the great German mathematician Carl Friedrich Gauss (1777–1855). Tuesday (1 May) — Join us for Tuesday Tea at the Library and some notes on books, libraries, and history. It’s the first Tuesday of the month, so why not explore a new Dewey Decimal class (the 800s) at your local library. ⬩ On this day in 1840, the world’s first postage stamp — the United Kingdom’s “Penny Black” — was issued. ⬩ The Empire State Building was dedicated on this day in 1931. It was the world’s tallest building for nearly 40 years. Wednesday (2 May) — Wednesday is Wonderful Words Day at the River Houses. On this day in 1611, the King James Bible was first published in London, so we’ll take a brief look at its influence on the English language. Thursday (3 May) — On this day in 1715, a total solar eclipse was visible across much of Europe. The astronomer Edmond Halley (of comet fame) correctly predicted the time of the eclipse to within four minutes. Friday (4 May) — Our regular Friday Field & Nature Notes will take a look at the daily “weather” reports produced by birdcast.info, a live bird-migration tracking service. ⬩ Since this is the first Friday of the month, we’ll also preview the astronomical events your homeschool students can be on the lookout for over the next few weeks. ⬩ Today is also International Firefighters’ Day. Saturday (5 May) — Saturday is Arts & Music Day at the River Houses. On this day in 1891, the famed New York City concert hall known today as Carnegie Hall opened for its first public performance. We’ll pay a virtual visit to Carnegie Hall today, and maybe even tell you how to get there…. ❡ Toasts are a fun tradition for your family table. We offer one each week — you can take it up, or make up one of your own (“To North American dinosaurs!”), or invite a different person to come up with one for each meal (“To variety in toasting!”). Our current examples are adapted from two old collections: Marchant’s “Toasts and sentiments” (1888) and the anonymous Social and Convivial Toast-Master (1841). What will you toast this week? 🌎 EVERYTHING FLOWS: Poland is one of our countries-of-the-week, so our Weekly World River is the beautiful Vistula River, the longest river in Poland. You can chart its course in your River Houses atlas (riverhouses.org/books), and you can read much more about it in the comprehensive Vistula River entry in Wikipedia or on your next visit to your local library. Library Tuesday: Happy Birthday to the Library of Congress! The first books purchased were ordered from London and arrived in 1801. The collection of 740 volumes and three maps was stored in the U.S. Capitol, the Library’s first home. At the time, it was not yet much of a building — only its north wing had been completed. From 1802 to 1805, the small collection was located in a room previously occupied by the House of Representatives. It was later moved to various places in the Capitol until August 24, 1814, when the British burned and destroyed the Capitol, including the Library. To replace the loss, Thomas Jefferson in 1815 sold his personal library of 6,487 volumes — which was then unrivaled in America — to Congress. Sadly, a second fire on Christmas Eve of 1851 destroyed two-thirds of those volumes. But the Jefferson books nonetheless remain the core from which the Library’s present collections grew. If you can’t visit in person why not pay a visit online this week (loc.gov) and discover what the Library of Congress has to offer to you, your homeschool, and every American citizen. Monday Monuments: Happy Birthday to the Bard! Today is Shakespeare’s birthday! It’s also our regular Museums and Monuments Day, so we’re going to pay a quick homeschool visit to some suitably Shakespearean monuments. 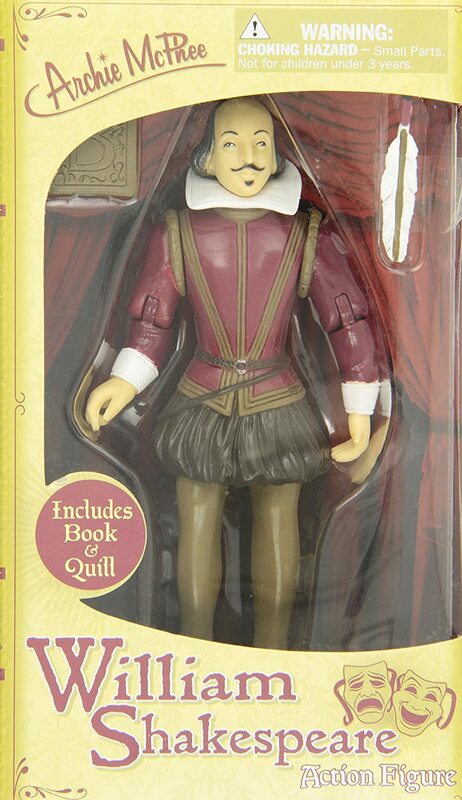 Perhaps a Shakespeare monument of your own is just what your homeschool needs! If so, Amazon.com (https://amzn.to/2Jl1gJj) will come to your rescue with a wide array of busts, bronzes, and even miniature action figures! ❡ Explore more: Your River Houses history encyclopedia (riverhouses.org/books) has a beautifully illustrated overview of the Elizabethan period, within which Shakespeare lived and worked, on pages 260–261. It’s just the background you need to do a wonderful homeschool history lesson. 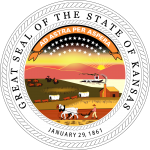 KANSAS (the 34th state, 29 January 1861) — The Sunflower State. Capital: Topeka. Kansas can be found on page 572 in your almanac and on plates 39 and 142 in your atlas. Name origin: “Sioux word for ‘south wind people’” (almanac page 423). State bird: Western Meadowlark. Website: www.kansas.gov. 🇵🇼 PALAU, in the western Pacific Ocean. Population: 21,431. Capital: Ngerulmud. Website (in English): palaugov.pw. 🇵🇦 PANAMA, in Central America. Population: 3,753,142. Capital: Panama City. Website (in Spanish and English): presidencia.gob.pa. 🇵🇬 PAPUA NEW GUINEA, on the island of New Guinea, north of Australia. Population: 6,909,701. Capital: Port Moresby. Website (in English): pm.gov.pg. 🇵🇾 PARAGUAY, in central South America. Population: 6,943,739. Capital: Asunción. Website (in Spanish): presidencia.gov.py. These all appear in your current almanac, atlas, and history encyclopedia as well. For example, you’ll find the main entries for the island nation of Palau on almanac page 822, atlas plates 109, 110, and 137, and history encyclopedia page 598, with illustrations, flags, and other mentions available through the indexes in each volume. ❡ Little lessons: “Did you know that the tiny Pacific Ocean nation of Palau has a population of only 21,000 people?” You can find a facts-and-figures outline of Palau on page 822 in your River Houses almanac and on plate 137 in your atlas, with maps of the country on atlas plates 109 and 110 (riverhouses.org/books). 🌓 THE MOON at the beginning of this week is a waxing crescent — a relatively good time for stargazing. Track the moon’s phases each month at timeanddate.com/moon/phases, and dial up this week’s constellations with your River Houses star atlas (riverhouses.org/books). 🗓 TODAY (Sunday, 22 April) — Today is the 112th day of 2018; there are 253 days remaining in the year. Learn more about different kinds of modern and historical calendars on pages 351–357 in your River Houses almanac (riverhouses.org/books). ⬩ Today is also Earth Day! Monday (23 April) — Monday is Museums & Monuments Day at the River Houses, and since today is the birthday of William Shakespeare (forsooth! ), we’ll be visiting some suitably Shakespearean monuments. ⬩ The Boston Latin School, the first public school in America, was founded on this day in 1635 (and it’s still going strong). ⬩ Today is also the birthday of the great German physicist and Nobel laureate Max Planck (1858–1947), the originator of quantum theory. Tuesday (24 April) — Join us for Tuesday Tea at the Library and some notes on books, libraries, and history. Appropriately enough, the United States Library of Congress was established on this date in 1800 with an appropriation of $5000 to purchase “such books as may be necessary for the use of Congress.” ⬩ The Hubble Space Telescope was released from the Space Shuttle Discovery on this day in 1990. ⬩ Today is also the traditional date given for the fall of Troy in 1184 B.C. Wednesday (25 April) — Wednesday is Wonderful Words Day at the River Houses. This Wednesday, spend a few homeschool minutes reading a lovely poem by English poet Walter de la Mare, born on this day in 1873, and listening to a beautiful musical setting of the poem by Gerald Finzi (1901–1956). ⬩ On this day in 1953, Francis Crick and James Watson published the first description of the structure of deoxyribonucleic acid (DNA), the molecule that carries the information of heredity. Thursday (26 April) — On this day in 1803, large numbers of meteor fragments fell near L’Aigle, France, clearly establishing that the meteors seen as streaks of light in the night sky are indeed objects falling from space. ⬩ Today is also the birthday of the great French-American artist and naturalist John James Audubon (1785–1851). Friday (27 April) — Today is Arbor Day! First celebrated in 1872 when an estimated one million trees were planted in Nebraska, Arbor Day is now recognized each year in the United States on the last Friday in April. Similar tree-planting holidays are held in many other countries around the world. Saturday (28 April) — Saturday is Arts Day at the River Houses, and in memory of the fall of Troy we’ll look at some famous artistic depictions of the Trojan horse, a cultural image that all good homeschoolers should be able to recognize. ⬩ Today is also the birthday of American novelist Harper Lee (1926–2016), author of To Kill a Mockingbird (1960), which has been a standard component of high school literature courses for many years. 🌎 EVERYTHING FLOWS: Paraguay is one of our countries-of-the-week, so our Weekly World River is the the Paraguay River, a major river of south-central South America, flowing through Paraguay, Argentina, Bolivia, and Brazil. You can chart its course in your recommended River Houses atlas (riverhouses.org/books), and you can read much more about it in the Paraguay River entry in Wikipedia or on your next visit to your local library. Thompson also wrote choral settings of a number of Robert Frost’s poems (Frostiana), and they would make for fine homeschool listening as well. The American Revolution began on this day, the 19th of April, in 1775, when local militiamen in the towns of Lexington and Concord, Massachusetts, offered forcible resistance to a British attempt to seize colonial stores of arms and ammunition. By the end of the day, 49 Americans and 73 British soldiers had been killed. ❡ Explore more: For a quick homeschool review of the beginning of the American Revolution, turn to pages 298–299 in your River Houses history encyclopedia (riverhouses.org/books). Today is the birthday of the great American writer Thornton Wilder, whose prize-winning plays Our Town (1938) and The Skin of Our Teeth (1942) have been staples of high school literature courses and local theater companies for decades. On your next visit to the library, why not track down some of Wilder’s works and see if they would be a good fit for your homeschool. Thornton Niven Wilder was born April 17, 1897, in Madison, Wisconsin. Arguably one of the greatest playwrights of the twentieth century, Wilder is the only writer to win Pulitzer Prizes for both literature and drama. Son of a U.S. diplomat, Wilder spent part of his childhood in China. After serving in the Coast Guard during World War I, he earned his B.A. at Yale University in 1920. Six years later, his first novel, The Cabala, was published. In 1927, The Bridge of San Luis Rey brought commercial success and his first Pulitzer Prize. From 1930 to 1937 he taught at the University of Chicago. 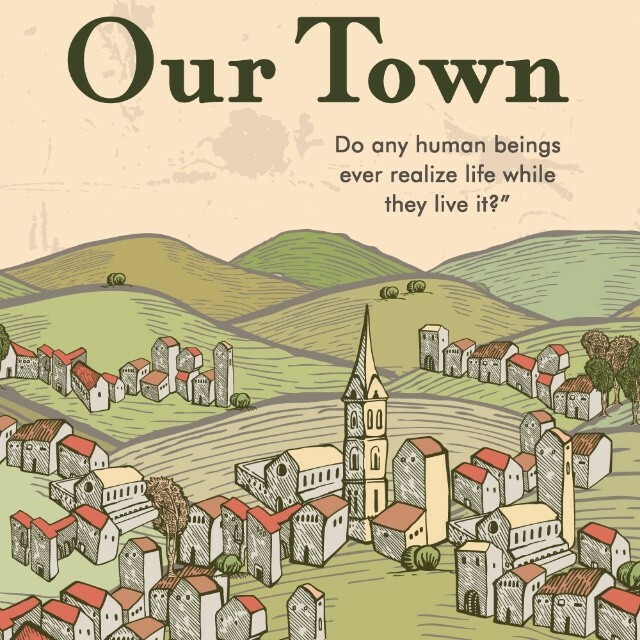 Wilder’s Our Town continues to be one of the most widely performed plays in America. So take a few minutes on your next homeschool library visit to look up some of Wilder’s works and introduce your students to one of America’s most important twentieth-century authors. Every Monday we pay a homeschool visit a notable museum or historical monument, and since this week is the week the American Revolution began in 1775, we’re going to visit a monument every American student should know: the Concord Minuteman. In one hand, the Minuteman holds his musket, and in the other, the handle of his plow. Here’s a gallery of images to share with your students this week — and be sure check your pocket for a Massachusetts quarter so you can give a little hands-on history lesson, too. 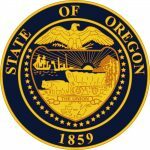 OREGON (the 33rd state, 14 February 1859) — The Beaver State. Capital: Salem. Oregon can be found on page 584 in your almanac and on plates 36 and 142 in your atlas. Name origin: “Origin unknown. One theory is that the name derives from wauregan, meaning ‘beautiful,’ term used by Indians in New England” (almanac page 423). State bird: Western Meadowlark. Website: www.oregon.gov. 🇳🇬 NIGERIA, in West Africa. Population: 190,632,261. Capital: Abuja. Website (in English): statehouse.gov.ng. 🇳🇴 NORWAY, in northern Europe. Population: 5,320,045. Capital: Oslo. Website (in Norwegian, Sami, and English): www.regjeringen.no. 🇴🇲 OMAN, in the Middle East. Population: 3,424,386. Capital: Muscat. Website (in Arabic and English): www.oman.om. 🇵🇰 PAKISTAN, in South Asia. Population: 204,924,861. Capital: Islamabad. Website (in English): www.pakistan.gov.pk. These all appear in your current almanac, atlas, and history encyclopedia as well. For example, you’ll find the main entries for the Middle Eastern country of Oman on almanac page 820, atlas plates 82 and 137, and history encyclopedia page 574, with illustrations, flags, and other mentions available through the indexes in each volume. This is a special week that we will mark each year in the River Houses: the week of the Nineteenth of April, the day the American Revolution began in 1775. ❡ Little lessons: “Did you know that the Middle Eastern nation of Oman consists of two separate pieces: the main part of the country at the eastern end of the Arabian peninsula, and a separate enclave at the entrance to the Persian Gulf, with territory of the United Arab Emirates in between?” You can find a facts-and-figures outline of Oman on page 820 in your River Houses almanac and on plate 137 in your atlas, with a map of the country on atlas plate 82 (riverhouses.org/books). 🌑 THE MOON at the beginning of this week is new! That’s the best time of the month for stargazing, because the sky is darkest. Track the moon’s phases each month at timeanddate.com/moon/phases, and dial up this week’s constellations with your River Houses star atlas (riverhouses.org/books). 🗓 TODAY (Sunday, 15 April) — Today is the 105th day of 2018; there are 260 days remaining in the year. Learn more about different kinds of modern and historical calendars on pages 351–357 in your River Houses almanac (riverhouses.org/books). ⬩ On this day in 1912, the passenger liner R.M.S. Titanic sank in the North Atlantic, two hours after striking an iceberg. More than 1500 passengers and crew died in the accident. ⬩ Today is also the birthday of the Renaissance painter and polymath Leonardo da Vinci (1452–1519). Monday (16 April) — Monday is Museums & Monuments Day at the River Houses. For this American Revolution Week, we’re going to look at the famous Minuteman statue in Concord. ⬩ On this day in 1963, Martin Luther King wrote his famous “Letter from Birmingham Jail” after being arrested for protesting segregation in Alabama. ⬩ The 122nd Boston Marathon will take place today. Tuesday (17 April) — Join us for Tuesday Tea at the Library and some notes on books, libraries, and history. ⬩ On this day in 1524, Italian explorer Giovanni da Verrazzano (1485–1528) became the first European to enter New York Harbor. ⬩ Today is also the birthday of American playwright and novelist Thornton Wilder (1897–1975). Thursday (19 April) — The American Revolution began on this day in 1775 when British troops fired on the local militia on Lexington Green and then advanced to Concord where they met with growing resistance and were driven back to Boston. By the end of the day, 49 Americans and 73 British soldiers had been killed. Friday (20 April) — Over the course of this day in 1775, 15,000 men from towns across Massachusetts and adjacent parts of New Hampshire and Rhode Island surrounded Boston and bottled-up the city’s British garrison, beginning an eleven-month siege that ended when British troops evacuated the city on 17 March 1776. ⬩ Today is also the birthday, coincidentally, of American sculptor Daniel Chester French (1850–1931), whose first important commission was the Minuteman statue that stands today at Concord’s North Bridge. Saturday (21 April) — Saturday is Arts & Music Day at the River Houses. After a week of war commemorations, spend a few peaceful homeschool minutes with the great “Alleluia” of American composer Randall Thompson, born on this day in 1899. ⬩ Tradition says that on this day in 753 B.C., the legendary king Romulus founded the city of Rome. ⬩ On this day in 1836, Texas forces under Sam Houston defeated the Mexican army commanded by General Antonio López de Santa Anna in the Battle of San Jacinto. ❡ Toasts are a fun tradition for your family table. We offer one each week — you can take it up, or make up one of your own (“To North American dinosaurs!”), or invite a different person to come up with one for each meal (“To variety in toasting!”). Most of our current examples are adapted from two old collections: Marchant’s “Toasts and sentiments” (1888) and the anonymous Social and Convivial Toast-Master (1841). What will you toast this week? 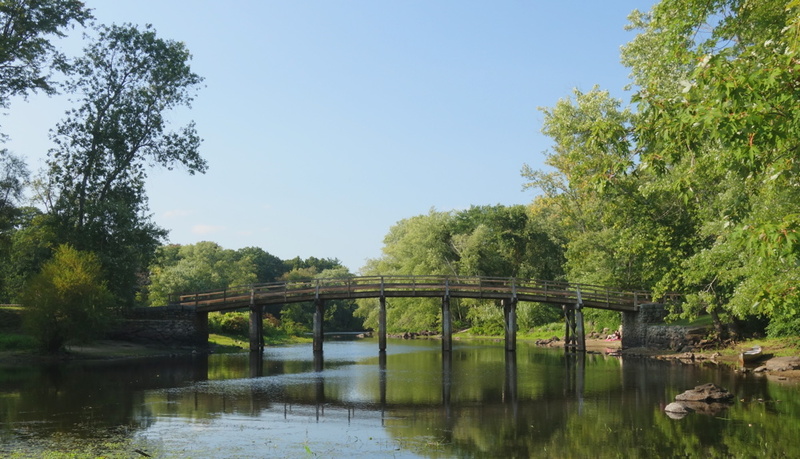 🌎 EVERYTHING FLOWS: Ordinarily we post a Weekly World River here from one of our countries-of-the-week, but in honor of the Nineteenth of April, this week’s river is the quiet Concord River, just west of Boston, which has figured prominently in the American literary imagination for more than 200 years. You can read more about it in the comprehensive Concord River entry in Wikipedia or on your next visit to your local library.